Get ready to challenge what you know and don’t forget to include your favorite video in the comments. Named Inman’s 2018 Agent Innovator of the year, Jay O’Brien and his startup Client Giant have been making huge strides this year. Just remember to say you heard of him here first! He offers a rock solid and practical plan to turn your (let’s face it, low effort) 3 star service into 7 star service. After all, you’re not a salesperson no matter how you slice it. You’re a customer service representative who happens to generate leads! Anyway, check out Jay’s excellent video on how he started the system and how to use it to grow your business. One of the better interviews of Barbara Corcoran we’ve seen, Josh Cantwell’s nearly 45 minute video has Barbara and Josh covering everything from work life balance to what she would have done differently if starting out today. Great video! In this video, coaching legend Brian Buffini walks you through one of the most crucial skills for any sales person, how to be socially savvy. In this nearly hour long video, Buffini covers how to improve communication skills and performance by enhancing your “EQ” or emotional intelligence. A must watch for any Realtor new or old! Great in-depth interview with Dirk Zeller on how to balance your work and family life. 5. How to Create a Successful Business and Kick MASSIVE A$$ in Real Estate! In this three hour plus video, real estate coach Joshua Smith walks you through everything you need to know to be a success in real estate. He covers mindset and specific strategies that will help you hit the ground running and close more deals. Don’t worry, if you’re already a seasoned vet, there’s plenty here to brush up on as well as some new skills to learn. Quick takeaway: Joshua Smith’s climb from brand new agent to one of the most successful Realtors in the country was started with one amazing (and undervalued) real estate marketing strategy: Door hangers! Prospects Plus offers a huge variety of door hangers you can customize or design your own. Like any great marketing idea the trick is to get started! In this video, real estate coach Kevin Ward of Yesmasters fame walks you through scripts designed to do one thing and one thing only: Get you appointments. He covers a super interesting technique for neuro linguistic programming called positive frames that help you help your your client down the path to a yes! Fascinating stuff, and at less than fifteen minutes, one you can knock off right now! Or you can go back to mindlessly scrolling Pinterest… Your choice! It’s not how much you earn, it’s what you actually do with the money that matters. 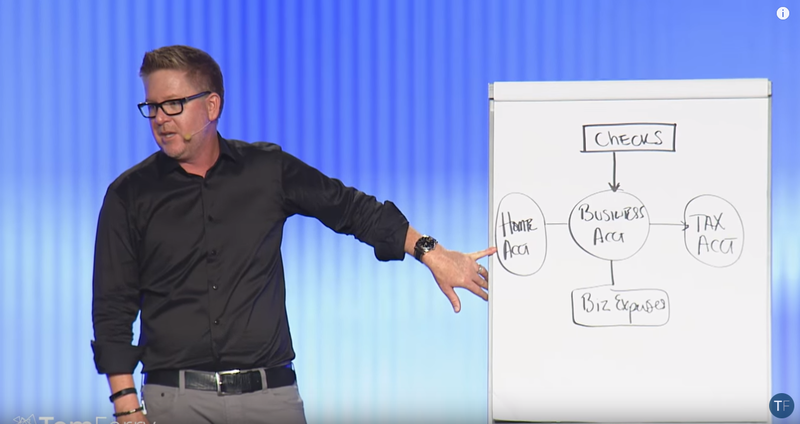 In this video (the most popular Tom Ferry video of all time btw) Tom walks you through one of the most important and one of the least understood skills to master as a real estate agent or any entrepreneur. What the heck to do with the money you earn! Okay, while this one is not exactly new, it walks you through one of the most important skills you can master as an agent; the listing presentation. What I love about these videos is that you can actually watch people act these out on real time. Yes, they’re a little bit cringe inducing, but that’s the point! Think of it as a crash course in what to say and how to act and what not to say and how NOT to act in your next listing presentation. In this video the legendary Grant Cardone lets you behind the scenes to watch one of his actual sales meetings with his sales team. If you learn nothing from this, you should at least watch for clues on how to work a room. It’s also a deadly serious big picture talk on the five steps to becoming a millionaire so if you want some inspiration or are thinking big, this is the video for you. Here’s a quickie from #crushingit wunderkind Gary Vaynerchuck. Using nothing but salesmanship and hard won social media savvy, Gary managed to grow his career from youtube wine salesman to one of the most sought after and respected business strategy speakers online today. In this video, Gary slays the dragon of excuses for not getting in to social media that most of us can relate to: I’m too old! The short answer is no you’re freaking not, but the long answer from Gary will not only leave you relieved, but pumped up to conquer the internet with your real estate marketing. Love hime or hate him, there is no denying that Ryan Serhant has taken the New York City real estate market by storm. You have to give him credit for absolutely crushing it on pretty much every level! In this video, Serhant let’s you behind the scenes to discuss how he managed to snag one of the most coveted new condo developments in all of New York City, Williamsburg Brooklyn’s Austin Nichols House. Another killer script video from Craig Proctor, this video walks you through one of the simplest and most powerful scripts you can have in your arsenal. In this video, Bob Corcoran walks you through another live listing presentation roleplay with slightly different takeaways and strategies than Mike Ferry’s video above. Lot’s to learn here so definitely save this one for later! In this video real estate coaching duo Tim and Julie Harris explain how DISC, a personality assesment like Myers Briggs, can help you understand the personality of people around you in order to help (or persuade) them most effectively. Fascinating stuff and takes a scientific approach to working with and closing leads. In this video, Inman’s Brad Inman interviews the one and only Gary Keller on his philosophy of real estate, and where he sees the industry headed. Here’s a full length video of the entire Inman Connect conference. Some great insight here and well worth the investment of time! Know of a great real estate training video we missed? Let us know in the comments. I haven’t actually tried any of the training videos you posted here but I’ll definitely give them a go. I think I’ll start with ‘How to Be Socially Savvy’ by Brian Buffini. I’m pretty sure I need to improve my EQ more. Great material!!! Enjoyed all your articles. Thanks! We like our material too which is why we write it the way we do. Hey, that rhymed! thank you very much for your article and the training videos. Do you have an article on some realtors unique websites or marketing distinctive niche, for reference please?